Recently Visa and Paypal expanded their partnership in Canada to allow customers more ways to move money between accounts, that lead PayPal in providing payments at physical locations. PayPal users that hold Visa credit or debit cards have long been able to add those cards to PayPal as a payment option. Now completing that integration could be even easier, as banking apps could offer to complete the step for their users. It’s an extension of the partnership that PayPal and Visa already have in other regions, including the U.S., Asia-Pacific, and Europe. PayPal also becomes a user of the Visa Direct program that was launched few months back. That will allow Visa cardholders to transfer any balance they are holding in PayPal to their bank accounts. Earlier there was no way to remove money in real-time from a PayPal account but now you can do that with Visa Direct. PayPal is also joining the Visa Digital Enablement Program, allowing it to access Visa’s tokenization services. This service could allow PayPal to provide a tap-to-pay feature through a digital wallet app, with Visa providing the payment capability. As part of the deal, PayPal will also not prompt Visa cardholders to default back on paying with a bank account. Typically, the service requires a bank account be set as the primary payment account and automatically suggests it at checkout. Now, Visa cardholders can set their credit card to their primary payment option. As Visa is expanding its Visa Direct push payments platform in Canada you can now use its real-time service to send and receive money is already available in 200 markets around the world. Built on top of its same payment network that enables debit and credit card transactions around the world, the service allows for payments to be made directly to a bank account. It’s an ideal way to replace many business processes that currently rely on cheques, seeing as its a much quicker method for payment and there’s no risk of it getting lost in the mail. Visa Direct has allowed for person-to-person payments in Canada since 2013. Now it’s working with two new partners in Peoples Payment Solutions and Telus Health and Payment Solutions. The former will be using Visa’s permissioned APIs to offer services to its business clients that enable them to send real-time payments to Visa debit cards in Canada. The latter will be making use of Peoples Payment Solutions in order to pay its customers for their benefits claims. Visa Direct faces competition in the market from Mastercard Send. At the end of February, 2018 Mastercard announced its partnership with Toronto-based Dream Payments. Its Dream Payments Hub is designed to work with insurance firms in order to push money out through Mastercard’s network to connected bank accounts. Visa debit cards are used by TD, CIBC, Scotiabank, and Royal Bank. Mastercard debit entered the Canadian market in 2016 working with the Bank of Montreal. According to a Payments Canada study, in 2015 debit card payments accounted for about one-quarter of total transactions in Canada. But when the value of those transactions is considered, debit was only 2.5 per cent of total value. For high-value transactions, cheque and paper was still the most commonly-used method, followed by electronic funds transfer. How does Visa work with PayPal ? Although you can transfer funds from a linked checking or savings account to add money to a PayPal account, the process of using a Visa card through PayPal for a large business purchase requires a different set of steps. Instead of moving part of your Visa card’s available balance into PayPal, you link the card to PayPal so you can draw against that balance. When you make a purchase using PayPal or fund your online casino account to play slots you can designate your card as the payment medium without the casino seeing your Visa account information. To add Visa Card Log in to your PayPal account. Click on the “Profile” link on your homepage and choose “Update Card” from the drop-down menu. Click on the “Add a Card” button on the “Debit and Credit Cards” screen to link your Visa card to your PayPal account. When the “Add Debit or Credit Card” screen loads, open the “Card Type” drop-down menu and select “Visa” to reveal the data-entry fields for your card information. Enter your card number, expiration date and the three-digit verification number from the back of the card. Verify that your card’s billing address matches the home address for your PayPal account. If it differs, click on the “Enter a new address as Billing Address” radio button and enter your information in the input fields that appear below it. Click on the “Add Card” button to complete the process. PayPal confirms that your card has been added to your account. Now to Verify your Card log in to your PayPal account. Locate the “Profile” link on the homepage and choose “My Money” from the drop-down menu. In the “My Profile” list of financial sources, find the Visa card you added to your account. Click on the “Update” link next to the listing to load the “Debit and Credit Cards” screen for your Visa card. Click on the “Confirm My Card” and “Continue” links, or “Link and Confirm My Card” and the “Save and Continue” links, whichever appear on the listing for your Visa card. PayPal will run a $1.95 charge on your Visa card within a few days as part of a security verification procedure. Locate your Visa card in the “My Profile” list of financial sources and click on the “Update” link. When the account screen loads, click on the “Enter PayPal Code” link and type in the code from your Visa card statement. Click on the “Confirm Code” button to complete the process. Note that when you confirm your Visa card on your PayPal account, PayPal will refund the $1.95 test charge within 30 days. If you lose your card verification code or can’t find it on your statement, log in to your PayPal account and request a new code through the “Confirm My Debit or Credit Card” link in the Notifications section of your homepage. PayPal gives you three chances to enter your verification code. If you enter it incorrectly three times, you can’t use your Visa card with PayPal until you contact Customer Service to add the card back on your account. After you do so, you can request a new verification code and complete the validation process. PayPal always uses any funds in your account before tapping in to your linked accounts. Remember that you can’t link a prepaid Visa card or Visa gift card to your PayPal account and you need to enter your billing address exactly as it appears on your Visa statement. If the address you enter doesn’t match, you won’t be able to add the card to your account. ← How can I pay money without having my own PayPal account? 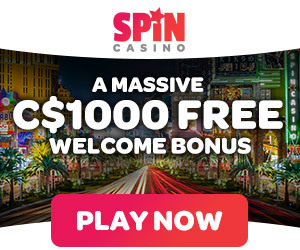 Can I make a deposit with Paypal at 32 Red Canadian Casino to play real money games? January 15, 2018 Kamal Kaur Comments Off on Can I make a deposit with Paypal at 32 Red Canadian Casino to play real money games?